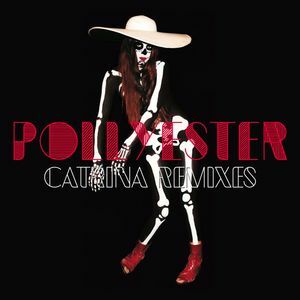 Disko B continue to promote "krautdisco" favourites' Pollyester's City of O full length, here offering up remixes of album favourite "Catrina". The original version - a stylish, chugging, arch combination of Italo-disco bottom-end, Bobby O style synth stabs and quirky vocals - is successfully reworked by Abe Duque, Hugo Capablanca and the Emperor Machine. While Duque's fusion of twisted acid lines and crispy nu-disco is rather good, it's the Emperor Machine version that really sparkles. Clocking in a few seconds shy of 12 minutes, it's a typically hypnotic, horror-tinged trawl through modular synthesizer refrains, alien electronics and stripped-back disco rhythms.